When people think about house flipping, most consider it to be a moderately rapid transaction. 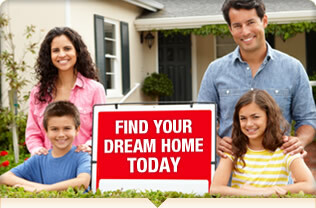 The investor locates a distressed or foreclosed home, remodels the property and quickly sells it for a profit. He or she then turns around and does the same process over and over again. Each successive sale builds cash flow that can be used to invest in other properties. In this case, flipping houses is a business to create income. House flipping can also create an investment portfolio when the sale of the property is delayed. In this scenario, the investor still locates and remodels a discounted house but, rather than selling the property right away, the investor holds the house and rents it out. Using this method creates a smaller but more stable income stream. Why Hold a Flip as an Investment Property? There are several reasons why an investor would prefer to hold the flip for a period of time. Buying and quickly selling properties to make money can create a roller coaster effect on financial statements. It can open the investor to substantial financial risk. Holding several income properties at a time will create financial stability. The income stream can be used support the investor while waiting for a flip house to sell. Having a portfolio of investment properties can assist the investor to get financing to support other investments. A home equity line of credit (HELOC) from an investment property can be a quick source of cash that can be used to purchase or remodel an additional home to be flipped. Property flipping works well when real estate values are depressed. If a foreclosure investor wants to see a higher return by taking advantage of market appreciation, a buy and hold strategy works well. Placing a flip property in the rental pool for a period of time can take advantage of increasing property values. Which Method is Better - Holding or Flipping? The answer depends on the investor's business goals and financial status. If an investor has easy access to large amounts of cash to purchase and rehab properties, then a quick sell and re-investment may be the best decision. If the investor needs more of a stable income or is willing to wait in order to increase the return on their investments, a buy and hold strategy can be a better option. Holding investment properties can also be a good strategy for individuals that are close to retirement or who are just getting their feet wet in the real estate market. Foreclosure investing can be a good starting point regardless whether the property will be flipped or held as an income property. In either case, the remodeling, subsequent appreciation and future sale can create a high rate of return whether it is quickly or over time.